If you are searching for Edinburgh Airport parking, you’re in the right place. Book with APH and you'll enjoy the safest, best-value services available at Scotland's busiest airport. With 14.3million passengers passing through Edinburgh Airport in 2018, our insider guide makes essential reading for anyone travelling to the terminal in their own vehicle. A reservation through APH brings safe, secure parking at a price that’s both fair and affordable. Looking for Edinburgh Airport parking is simple with APH. We’ll help you find the best prices and ensure your vehicle’s left in safe hands while you’re away. 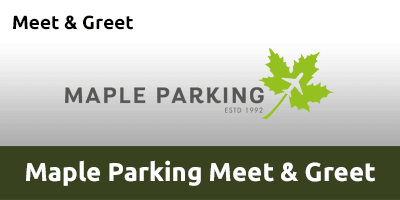 From off-airport park and ride options such as APH Car Park, to meet and greet services offered by providers including Ace Meet & Greet we’ve got a solution for your trip. Browse the tabs below to reveal more about parking solutions at Edinburgh Airport. Here at APH, we've been providing airport parking across four decades, so we know all travellers have individual needs when it comes to selecting a service that’s right for them. That’s why we offer such a wide range of parking with myriad services to help create a bespoke solution for your trip from Edinburgh Airport. Take a look at the table, below, for a smart guide to the Edinburgh Airport parking available through APH. Of the 14 million passengers starting their trip from Edinburgh Airport, a large proportion of these will have used their vehicle to reach the terminal. With such high-demand for parking, it’s essential to be wary of rogue operators looking to cash in. Hard-pressed travellers searching for cheap Edinburgh Airport parking can easily fall into the clutches of unscrupulous firms hiding behind seemingly legitimate websites. However, it will often be the case their ‘too good to be true’ deals are just that. This is why the Park Mark Safer Parking Award provides such an essential resource for travellers looking to protect themselves from rogues and ensure their expensive vehicle isn’t simply abandoned on bleak urban wastelands, busy city streets or dumped in municipal car parks with the prospect of subsequent parking penalties to follow. 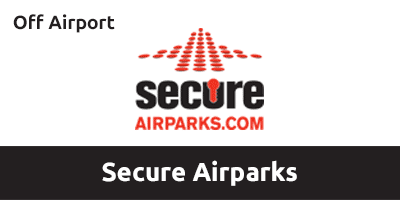 The Park Mark Safer Parking Award helps travellers departing from Edinburgh Airport fly with confidence knowing their vehicle's guardian has secure, legitimate parking in place. Checking the Park Mark Safer Parking Award can provide the reassurance and confidence that travellers look for when booking space. That’s why the majority of Edinburgh Airport parking services offered by APH hold this respected industry-standard award. As a Police Crime Prevention Initiative, the Park Mark Safer Parking Award is designed to help cut the instances of actual crime or the fear of it in car parks across the UK as a whole – including airports. We are proud supporters of the Park Mark Safer Parking Award and its mission statement to ensure safe and legitimate Edinburgh Airport parking for all travellers. Alongside the Park Mark Safer Parking Award, APH provides travellers with another vital tool to help select parking that's safe, secure and offers the sort of service they'd expect. Every product we offer on APH.com is accompanied by a customer-generated rating and full, uncensored access to all reviews. Unlike some providers, customer reviews found on APH.com are all collected and published by a respected independent organisation called Reevoo. Reevoo guarantees the product reviews published on the APH website have not been vetted or specially selected to create a positive impression of products. There really is nowhere for poor service to hide with APH and Reevoo. Check out reviews for parking providers – such as APH Car Park – offering services at Edinburgh Airport. Edinburgh Airport operates a single terminal, which makes choosing parking less daunting. That said, there remain many variables to consider when selecting the perfect parking for your trip from Scotland's busiest airport. Along with providing advice on parking, we can help travellers with essential information and guides covering the likes of how much change is required for baggage trolleys, how to log-on to free WiFi and where to eat some food before you fly. It’s not simply a service to secure parking that APH provides – we can also help travellers slash the amount they'll pay for their Edinburgh Airport parking. Read our genuine money-saving tips to find out how much money we can help cut from your Edinburgh Airport parking basket. There’s a really easy way you can start saving money from the get-go – and you won’t even need to move from your seat – but don’t forget to take those regular exercise breaks. Join our online mailing list right now and start loading up with instant benefits! Along with parking offers and deals, you’ll also receive an instant discount of at least 10 per cent off your next booking for Edinburgh Airport parking. Joining the email list is simple! No laborious forms to wade through – just scroll to the foot of this page and enter your email where it says ‘Join here for discounts and offers’. Push the button and your next Edinburgh Airport parking invoice will be at least 10 per cent lighter. Saving money isn’t just about searching out great deals, there’s also a good deal of mathematics and analytics involved. And here at APH, we can use these strategies to help cut the amount of cash you'll need to pay for Edinburgh Airport parking. 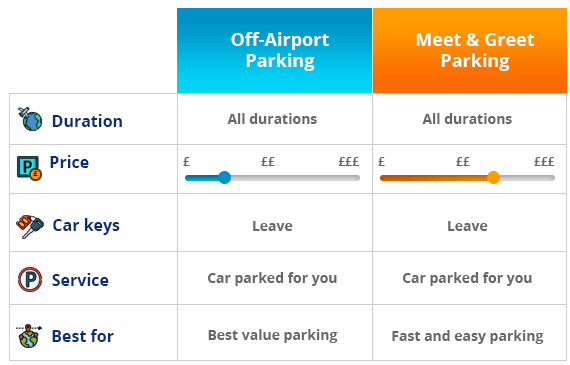 The cost of parking at Edinburgh Airport fluctuates over the year in harmony with times of higher and lower demand for space – such as school holidays the term-time parking. We all understand this is the economics of supply and demand, but that doesn’t mean we can’t do anything about it – and with the help of APH, there are significant savings to be enjoyed even during the busiest periods. Using our unique knowledge of pricing trends gained over four decades of parking experience, we can reach out and share the best times to book parking for your flight. This data reveals what could be the most cost-effective time to book cheap Edinburgh Airport parking. The results typically show that reserving a space as soon as possible makes the most sense when it comes to keeping your bank account happy. Taking a look at average prices, we find that a booking placed at six months prior to departure could cut what you pay by more than 32 per cent when compared with a reservation made just seven days before leaving. Translating this to purely monetary terms, a week’s parking at Edinburgh Airport could cost around £73.20 if purchased a week before departure – which compares with a bill of just £49.76 for bookings placed six months before flying. The graph below reveals the average savings that could be made when booking parking at Edinburgh Airport. 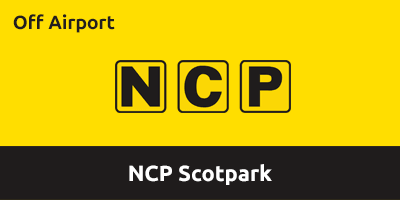 Smart travellers can make their budget stretch further by booking a park and ride service from the likes of NCP Scotpark. 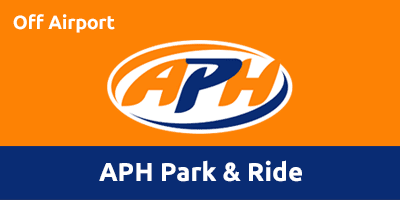 Typically, just a few minutes’ transfer from the terminal doors, off-airport park and ride is often the cheapest service for Edinburgh Airport parking – and all Park and Rides offered through APH are holders of the Park Mark Safer Parking Award. Get your quote now and see just how cheap Edinburgh Airport parking can be with help from APH. Here’s the parking we currently offer at Edinburgh Airport. The perfect trip starts by picking the perfect parking at Edinburgh Airport. This explainer guide will help you understand what the various services offer and why they could be 'the one' for you. Here’s a quick at-a-glance guide to the various types of parking, followed by a full description below. If you’re looking for cheap Edinburgh Airport parking, this is the service for you. It’s fast, efficient and safe for both you and your vehicle. These off-airport – or Park & Ride – services from the likes of APH Car Park offer the go-to option for savvy travellers flying from Edinburgh Airport. Off-airport parking is simple to use, too. Just head to the car park – typically less than five minutes from the terminal building – where your car will be parked for you in a security-protected compound, while you take the short shuttle trip to the check-in desks. Purchasing your parking through APH gives the added reassurance your vehicle will be looked after in a security-protected car park while you travel. Expect the likes of CCTV, security fencing and barriers along with manned patrols. Car parks purchased through APH are all holders of the Park Mark Safer Parking Award. Best for: Anyone looking for cost-effective parking, but not wanting to cut corners on security and safety. 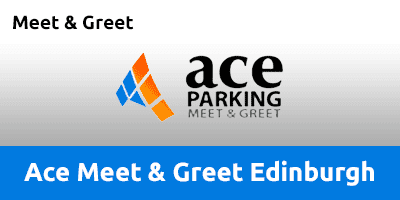 If you’re feeling a little stressed about getting to the terminal on time, meet and greet parking from the likes of Ace Meet & Greet can certainly ease the pressure of departure day. Putting yourself one step ahead of the crowds is simple with meet and greet. In fact, using it can cut around 30 minutes from your trip to the terminal when compared with getting to off-airport car parks, checking in and taking transfers to and from the airport. It’s not just the fastest way to reach the terminal doors, meet and greet is also one of the easiest stress-free ways to access Edinburgh Airport’s check-in area. Simply drive directly to a meeting point at the terminal, grab your luggage and head to the check-in desks while your car’s parked for you. And the same in reverse for your return. Despite being the ultimate in Edinburgh Airport parking, meet and greet certainly isn’t out of reach financially – often costing just a couple of pounds more than other products on offer. Get a quote now to find out how little it could cost to upgrade your parking. Best for: Anyone travelling with young kids, managing mobility issues or carrying bulky sports equipment will find Meet and greet ideal for departure day. Business users will also benefit from the ease and speed this product provides. Heading to Edinburgh Airport for an early morning flight can be a stressful prospect! Rush-hour delays and unexpected road closures can all add to the anxiety that many feel when attempting to reach the terminal on time. This won’t be a problem for savvy travellers, though. Cut stress and skip the early morning slog by booking a pre-flight stop-over at a nearby Edinburgh Airport hotel. And, along with the stress-relieving benefits, pairing your parking with a pre- or post-flight stop-over can deliver some great deals. Find out more about hotel and parking packages at Edinburgh Airport and how it could be the solution for your upcoming trip. Get ready for your journey from Edinburgh Airport by preparing a route to your car park. Use the map on this page to help ensure you arrive at the check-in desk with plenty of time to spare.